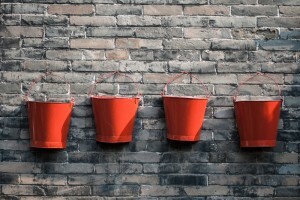 Contactually Buckets are awesome for real estate agents. If you are a Contactually client, you’ve come to appreciate and rely on the buckets that help you organize and communicate with your database, prospects or sphere. Contactually is one of the real estate industry’s leading CRMs. Revaluate complements the Contactually CRM with a bold new direction. SmartSphere rates and ranks your prospects – telling you who is most likely to move in the next 3-6 months. Today we are proud to announce, that we’ve integrated the two services. Contactually agents can now one click sync their contacts with SmartSphere by Revaluate. Agents and brokers can sync their database, sphere of influence, online leads, or prospects no matter the size from 40 to 4,000. Early adopters like Top Agent Kevin Markarian of Maker SF can already see who is most likely to move in the next 3-6 months. Kevin has more than 2500 prospects in SmartSphere. The SmartSphere system utilizes algorithms, machine learning and big data to paint a profile for every individual prospect. We even pull in Twitter, Facebook and LinkedIn data for each prospect automatically. 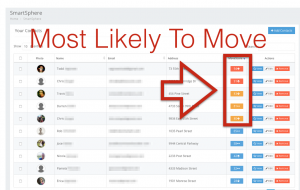 This saves agents tons of research time, and helps focus their marketing efforts on those most likely to move. National speaker and CEO of Better Homes and Gardens Lifestyle Property Partners Laurie Weston Davis, thinks it’s a great match. Contactually and Revaluate are helping agents keep in touch with, and track consumers in their homeownership lifecycle. Together, we help build trust, transparency and give something of value to consumers.